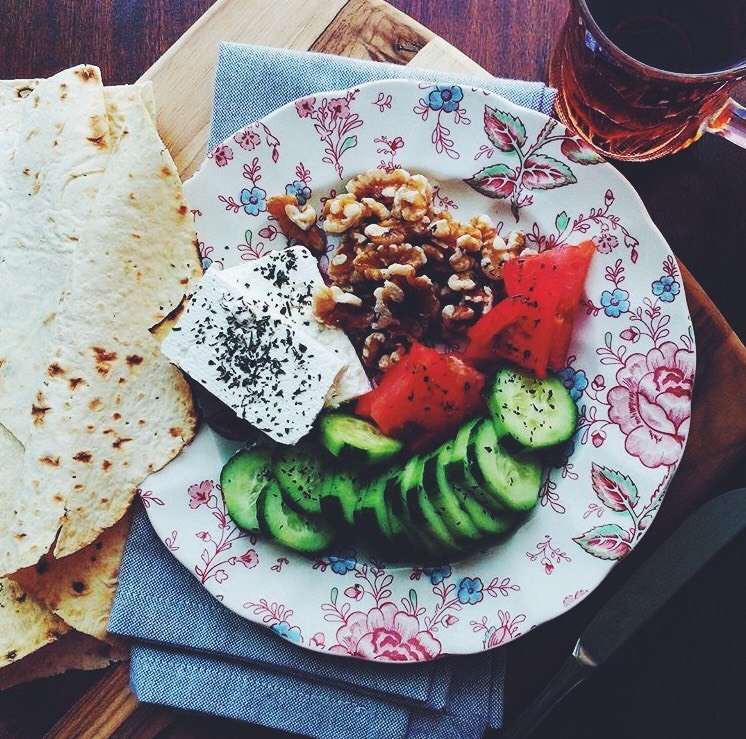 Love the Iranian breakfast! 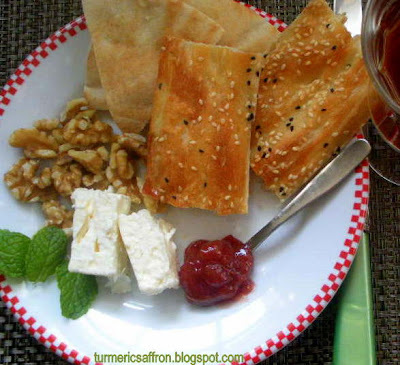 I was introduced to Iranian cuisine while living in So. California and have loved it ever since. I remember for breakfast a type of thick cream on which my friend put sour cherry jam and ate with a morsel of Iranian bread. Heaven. I have been trying to recreate it and find recipes for it, to no avail. The thick cream that was served by your Iranian friend was most likely (sar shir)which means "top of milk" and it refers to the fat top layer on the milk. Unfortunately, I don't have a recipe for it now. However, I remember they used to use raw and fresh cow's milk to make the cream back home. I am not sure if you can make the same cream with the homogenized milk from the supermarkets. I'll let you know if I find a recipe for it. I just discovered your blog. It's awesome! I live in Northern Virginia and we have a sizeable Iranian population and some great restaurants and grocers. At first I thought Persian cuisine was nothing but joojeh and kubideh kabobs with rice, but I've since realized its so much more. I love khoreshes especially (fesenjan is my favorite). A few questions...what are your opinions of the books by Najmieh Batmanglij? Are her recipes reasonably authentic? They seem to be. Also, do you have a recipe for those chewy Persian walnut cookies? They are sorta like walnut macaroons, made with egg whites I believe. Keep posting recipes. Persian food is the most under-appreciated cuisine in the world in my estimation. Thank you Jimmy for your kind comments. I am glad that you appreciate and love Iranian food. I think that Iranian food is under appreciated too. In my opinion, great chefs and authors like Najmieh Batmangelij with their cookbooks are instrumental in making Iranian food become more known and loved outside of Iran’s borders. In my opinion she is a prominent figure in introducing authentic Persian cuisine to the world. Yes, I do have a recipe for Persian walnut cookies(nan gerdooie) and I will post it very soon. This breakfast is perect! I love the combination of cheese, bread, walnuts, etc. I love your photo of the trees, too. It's really beautiful. Thank you very much dear Maninas. Thanks so much dear Shayma. I am so glad you found it as well. Thank you, I appreciate your kind comments. I'm very glad there are Persian food bloggers out there too. Hi, i'm doing a project on Persian food and your blog is great for it! thanks so much!